Maja Mella, is standing strong with her sami beaks in her home village Kurkkio as well as she does while traveling and a passionate working for strengthening the tornedaler’s identity. She is the latest addition to our Ambassador club and she sees Kero as a model for the region's development. 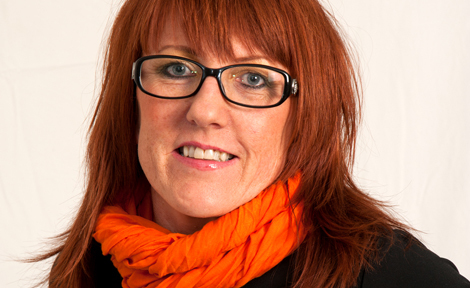 Since 2008 Maja Mella is working as director of the Swedish National Association of Tornedalians. Which is an association of members who feel connected with the language Meänkieli and the original language’s culture and history. The organization's aim is to strengthen the Tornedaler’s identity and its linguistic and cultural development, and support. The organization is also the government's consultative body on matters concerning the minority Tornedalers. When Maja doesn’t work, she finds tranquility and quality of life when she’s at home in Kurkkio looking out over the Torne river from the horseback. - There is a strong future belief in the region is clearly visible on the establishment of businesses, new miners to be opened and tourism. Our culture is interesting, it attracts people both to stay and visit here. What Kero has done is really something to look up to. They have succeeded in managing and developing the cultural heritage and then package it in a way that appeals to me as a woman in the 2000s. Their success depends on their ability to identify how people live today and what needs they have. They have managed to keep the brand modern and cool, despite it’s 85 years old, Maja commends. Maja has been an ambassador for Kero in stealthily for many years, but now she officially can call herself a Kero ambassador for real. Earlier, when she worked in the visitor industry, the Kero shoemaking was a destination she often took her tourists to. Because of that it was both an obvious decision and an honor when she was asked to become an ambassador. - What I appreciate most about Kero is their humility for innovation, development and creativity. I also like their partnerships with, for example, Denim Demon. My favorites are the green sami beaks and the black Kero X Denim Demons. What I like about them is that they are equally suited to the party as they are to the job context. During a few times my green sami beaks even have visited the Swedish parliament, Maja Mella says.